The Mother City’s premium summer Sunday music and food festival’ – that, in a ‘nutshell’ of words, is the definition of Sizzled. With the aim to push boundaries higher via some of the freshest live musical acts, as well as the tastiest mouthwatering gourmet and ‘sizzled’ food, let’s just say that Sizzled is on a mission to keep winning over the hearts of Capetonians cementing the brand as a Cape Town heritage and summer tradition appealing to all races and respective markets. 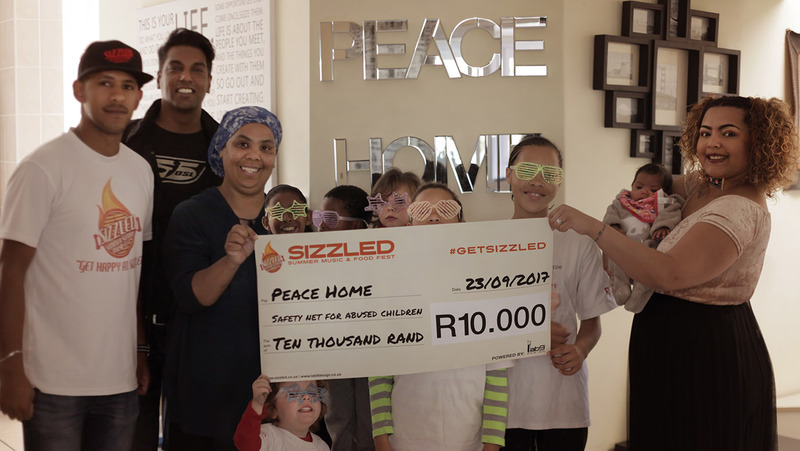 From hosting prestigious events at the Castle in Cape Town’s CBD, the Sizzled family promises its guests an experience filled with love, positive energy and pure fun. Value is added with bustling food trucks, one-of-a-kind performances, pop-up stores and giveaways that keep the ‘sizzled’ folk coming back for more. Founded in 2012 by local music lovers, Sizzled has been dubbed by its diverse-aged patron’s as one of the most original summer music festivals ever organised. The consumer types seen at Sizzled are explorers, aspirers, mainstreamers, entrepreneurs – to name but a few. Each venue that is chosen to host Sizzled is unique, 100% innovative and fully considerate of giving its following a day and evening to rave about for weeks on end. What is the difference between Sizzled and other festivals, you ask? Well, there is love – the love to withstand any sort of segregation, whether it is between age, religion or race. Mention must be made of the attendance average per event, which ranges from 1500 – 3000 attendees. It is said that a kind gesture can reach a wound that only compassion can heal. At Sizzled, this is the deed that drives us. Sizzled is a sizzling-hot initiative that seeks to give meaning to the pleasure of partying and the jubilance of the jol. The Mother City’s premium summer music & food festival, our chief objective is to give back to something bigger than ourselves – a portion of our proceeds go straight to helping less-fortunate families living in and around our beautiful city. Thanks to our uplifting purpose, every head-bob helps, each cheeky mission matters, and every mouth-watering nibble on the creative cuisine served at our events go a long way to lending those in need of a helping hand. That truly is the Sizzled difference since 2014. Through our ongoing mission to help, support and assist, we have successfully hosted blanket drives during the chilly winter months, toy pushes for children’s homes around the city, supplied Christmas surprises to lots of little ones, sponsored meals and party packs, and so much more.